Inn of the Finger Lakes is located in Auburn, NY near the Cayuga Wine Trail. It's a perfect location for travelers coming to enjoy the Finger Lake region. The pictures are from the room we had with one queen bed. The room was pretty small. Complimentary Hosted Evening Wine Tasting, Monday - Friday 5 p.m. - 7 p.m. 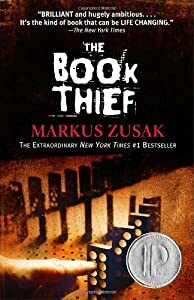 The Book Thief is my favorite book and has been for several years. It is the book I most often recommend. It's well written and interesting. The Book Thief is a work of historical fiction and takes places during WWII. Death is the narrator and tells the story of a little girl growing up in nazi Germany. Death names her the Book Theif. Although I've read many books regarding World War II, this is the first one that I've read that is from a German's child's perspective. Death observes the girl being sent away from her parents, having her friends killed and recruited, often going without enough food, and sneaking around. The American Girl doll store in NYC was fascinating to me. It was the first time I had ever been inside one of their stores. They have taken a doll store and turned it into a tourist destination. Besides having hundreds of dolls on display there is a book store. Here is a spot to get a little treat for you daughter and her doll. There is a doll hospital where the dolls can be repaired. You can take your doll to the salon and pay to have her hair done. They also sell babies and twins! While you are there you can also have your child do a photo shoot with her doll. In the store you can also have tea with you doll inside the store's restaurant. If you need to use the bathroom there are special hooks to hang your doll on.